This audiobook describes what life was like for the Vikings, with an in-depth account of all aspects of the people at the time and how they lived their daily lives. Narrator Jason Zenobia talks us through plenty of amazing facts about Viking voyages, invasions, ships and religion, including fascinating information about gods such as Odin, Thor and Loki. 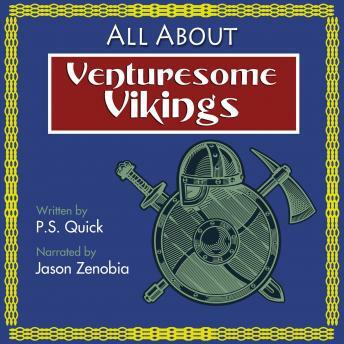 This excellent audiobook is a great addition to the collection of anyone interested in the Vikings, and is part of PS Quick's 'All About' series of books which introduce both children and adults to a number of extinct civilizations.